Some people get the pass and never get to visit all of the mountains!! TELL THEM WHAT THEY'RE MISSING / NOT MISSING!!!! I always get the Drifter Pass and would love to hear any and all of your input! - Best/Worst Terrian park features? - Is there a better pass out there for shredding East Coast? - Best scenery for shooting high quality footage? - Best for mid-week riding? - New Schoolers user link ups? - Post footage/pix take at DP mountains ! - Maybe your pass photo is too funny to not share! Anyways, heres the thread. Have at it. You also get access to the midwest resorts I believe. My midwest hill is owned by Peak Resorts and they just added this thing called the "peak pass". It was $399 spring price and I get access to any resort owned by peak. I meant to buy the "Peak Ohio Pass" but I accidentally clicked the peak pass since it was the same price as my ohio pass as the previous season. They must have lowered Ohio season pass prices finally. Looks like I am doing a trip to mount snow or big boulder this spring. good to hear!! hyped to check it out this year. is it more rails or jumps? If anyone is interested in buying the Drifter Pass I can save you $20 off the price of the pass if you use the code DWALL at checkout. I absolutely loved this pass last year. It pays for itself after 4-5 days of skiing! Feel free to DM me if you have any questions. Can't wait to see everyone out there! 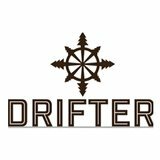 VicarTip If anyone is interested in buying the Drifter Pass I can save you $20 off the price of the pass if you use the code DWALL at checkout. I absolutely loved this pass last year. It pays for itself after 4-5 days of skiing! Feel free to DM me if you have any questions. Can't wait to see everyone out there! shoulda checked NS before buying, good looks tho! Growing up riding PA mountains then moving to the rockies is like being andy dufresne in the shawshank redemption. KilaTsunami good to hear!! hyped to check it out this year. is it more rails or jumps? Mount Snow started making snow on Wednesday October 17th. Let's GOOOO!!! Get your Drifter Pass and don't forget to use my code DWALL to save $20 off the pass. Can't wait to SEND IT! Wildcat and Mt. Snow open tomorrow suckkas. Anyone making it to either spot tomorrow? croto31 Wildcat and Mt. Snow open tomorrow suckkas. Anyone making it to either spot tomorrow? SALE ENDS TONIGHT AT MIDNIGHT 12/17. Get your peak pass and use code DWALL at checkout to save $20 on the Drifter Pass or save $50 on the other Peak Passes.